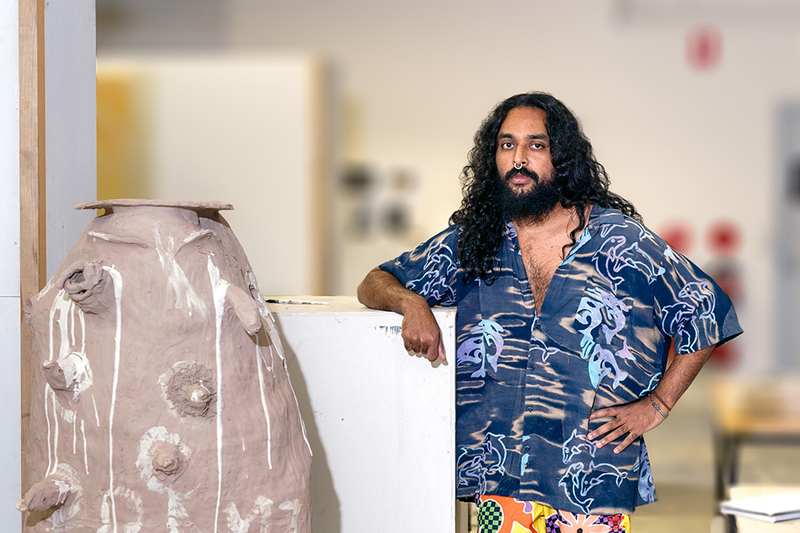 Ramesh Nithiyendran was awarded the prestigious NSW Visual Arts Fellowship (emerging) in 2014 administered through Artspace and Arts NSW. He went on to win the 2015 Sidney Myer Fund Australian Ceramic Award, Australia’s richest and premier award for artists working in ceramics. He has exhibited broadly, presenting solo exhibitions at the National Gallery of Australia, the Shepparton Art Museum and The Ian Potter Museum of Art, the University of Melbourne. He took part in the Kuandu Biennale, Taipei 2016 and the Adelaide Biennial of Australian Art 2016. Forthcoming projects include a solo presentation at the Dhaka Art Summit, Bangladesh in 2018 and The National: New Australian Art at Carriageworks, Sydney in 2017. His work has been featured in various publications and is held in collections across Australia, including the National Gallery of Australia, The Art Gallery of South Australia, Artbank and the Shepparton Art Museum.